The Central Division had 4 teams make the playoff while Columbus was the last place team in the entire league. The Central Division will be very interesting with the possibility of 3 of the 4 teams making it to the Western Conference Semi-Finals. The St. Louis Blues are the Central Division champions with a record of 49-22-11. They finished 2nd in the Western Conference behind the President Trophy winning team; the Vancouver Canucks. The St. Louis Blues success started from the goaltending with great seasons from Jaroslav Halak and Brian Elliot. As St. Louis signed Brian Elliot in the off-season they were looking for a goalie who could play 10-18 games behind Halak while Ben Bishop was developing in Peoria of the American Hockey League, but because Elliot has an outstanding season the Blues traded Bishop to the Senators for a 2nd round pick before the trade deadline. Brian Elliot had a record of 23-10-4 with a 1.56 GAA, .940 save percentage along with 9 shutouts. Elliot also set a team record with a 241 minutes and 33 second shutout streak. Elliot led the league in GAA and save percentage. Jaroslav Halak had a record of 26-12-7 with a 1.97 GAA, .926 save percentage along with 6 shutouts. The goaltending tandem combined for the league lead in shutouts by one team and they only allowed a league best 165 goals against which was 14 less than Los Angeles who were second best in that category. The offense for the St. Louis Blues was very spread out as David Backes and TJ Oshie led the offensive charge with 54 points each. Backes also led the team in goal scoring with 24, but Perron had 21 goals in only 57 games. The future is only going to the bright for the Blues, with all of the young talent on the Blues consisting of: David Backes, TJ Oshie, David Perron, Alex Pietrangelo, Kevin Shattenkirk, Patrik Berglund, Chris Stewart, Ian Cole and Jaden Schwartz the Blues should be in the running for many years to come. Blues coach; Ken Hitchcock is a top candidate for the Jack Adams Award for best coach in the NHL. He took over the coaching job from Davis Payne who was fired on November 6th as the Blues were 6-7-0 and 14th in the Western Conference. He led the Blues to the 3rd best record in the entire NHL. As the St. Louis Blues dominated the season series with the Sharks by winning all four games and outscoring them 11-3 the Blues will end into the series at the favorite. The Sharks do possess the playoff experience that the St. Louis Blues lack, but with veterans in Jamie Langenbrunner, Jason Arnott and Andy McDonald the Blues will have great leadership. 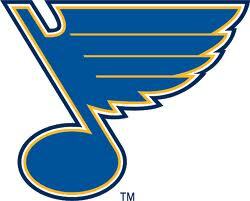 Prediction: St. Louis Blues win the series 4-1. The Nashville Predators 2nd in the Central Division with a record of 48-26-8. They finished with 104 points. The Nashville Predators were led by Pekka Rinne and the defenseman all-stars; Shea Weber and Ryan Suter. Pekka Rinne started in 72 game this season for the Predators. He boasted a 43-18-8 record with a 2.39 GAA, .923 save percentage along with 5 shutouts. He led the entire league with 43 wins. Ryan Suter had 7 goals and 39 assists this year along with a +15 rating, and Shea Weber recorded 19 goals (10 of them coming on the powerplay) and 30 assists while leading his team in plus/minus with a +21 rating. Martin Erat led the team is scoring with 58 points which was his best offensive season in his 10 year NHL career. David Legwand and Mike Fisher were close behind with 53 and 51 points respectively. The return of Alexander Radulov to the Predators gives them a huge boost going into the playoffs. Radulov left the Predators after the 2007-08 season to go play in the KHL in his home country, Russia. He finally returned to the NHL this year when the season came to an end for his team in the KHL. In 9 games this season for the Predators, Radulov has 3 goals and 4 assists for 7 points. Besides Radulov’s return, the Predators also added other assets through trade this year that have strengthened them and should help in the playoffs with offense, defense and veteran presence. Nashville first traded for Hal Gill, who has 5 points and is a +4 in 28 games. He has 105 career playoff games so he brings a lot of experience to this team which will be very helpful to the younger Preds. The Kostitsyn brothers were re-united as the Preds traded for Andrei Kostitsyn at the deadline. Andrei has 12 points and his a +7 in 19 games with the Preds. Also, the Predators traded for Paul Gaustad who will bring grit to their lineup and he will be responsible along with the likes of Mike Fisher, David Legwand and Jordin Tootoo to shutdown Datsyuk, Filppula, Zetterberg and Franzen. The Nashville Predators are playing their divisional rivals the Detroit Red Wings. The season series between these two teams is even at 3. This series will be very exciting to watch with offensive threats going head to head along with Weber and Lidstrom facing off. The goaltending should be the defining part of this series as Pekka Rinne and Jimmy Howard go head to head. Prediction: Nashville Predators win the series 4-3. The Detroit Red Wings finished the season ranked 3rd in the Central Division with a record of 48-28-6 for 102 points. The Detroit Red Wings set an NHL record with 23 straight home wins this season. Detroit finished the year with a 31-7-3 home record but they had a miserable 17-21-3 record away from the Joe Louis Arena. Wings goaltender; Jimmy Howard played great when he was healthy, as he started 57 games which was his lowest total in 3 years. He posted a 35-17-4 record with a 2.13 GAA, .920 save percentage and 6 shutouts. Zetterberg led the team in points with 69 points in 82 games, while Datsyuk was second in team scoring with 67 points in 70 games. The most impressive season by a Red Wing this season in my opinion was that of Val Filppula. Val scored 23 times and added 43 assists for a total of 66 points. Those 66 points are 26 more points than his best offensive season before this year. He also was a +18 and only had 14 penalty minutes. He had a great year and he will be looking to continue his success into the post season. The defense in Detroit as usual pitched in on the offense as Nik Kronwall had 36 points, Nicklas Lidstrom had 34 and Ian White had 32 points. They combined for 23 goals, 11 of them coming by way of the powerplay. Darren Helm is optimistic that he will be able to return to the lineup from a knee injury for game 2 on Friday. Prediction: Detroit Red Wings lose the series 4-3. 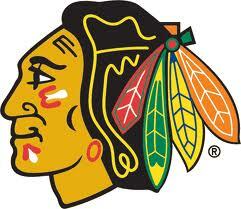 The Chicago Blackhawks finished 4th in the Central Division with a 45-26-11 record. Despite finishing 4th in the division the Blackhawks were able to finished 6th in the Western Conference. The Blackhawks had problems all year with giving up too many goals. As a team they gave up 238 goals, which is 2nd worst in the league among playoff teams, only better than Ottawa who gave up 240 goals. Corey Crawford and Ray Emery split the goaltending time this year with neither of them having great seasons. Crawford went 30-17-7 with a 2.72 GAA, .903 save percentage and zero shutouts. Ray Emery had a record of 15-9-4 with a 2.81 GAA, .900 save percentage and zero shutouts. The Chicago Blackhawks were the only team to record zero shutouts this season. The offense of the Blackhawks bailed out their poor defending many times as the Blackhawks were tied for 6th with goals for. Marian Hossa led the offensive charge with 29 goals and 48 assists for 77 points in 81 games. Patrick Sharp was second in team scoring with 69 points in 74 games along with a team leading +28. Kane was third with 66 points in 82 games. Toews, who missed 23 games due to injury is due to return for their first round matchup, had 29 goals and 28 assists in only 59 games. The return of center, Johnathan Toews will be a huge boost to their lineup, as he has not played in 22 games. Behind Datsyuk and Crosby, Toews could agrubaly be the most complete player in the NHL as he excels in every facet of the game. He will bring more success to the powerplay and the penalty kill and he will be key to winning faceoffs for the Blackhawks. With Toews in the lineup, Chicago will be a scary team to face in the first round. The Blackhawks are playing the Pacific divisional winners; the Phoenix Coyotes. The Coyotes are heavily relying on the play of their goalie; Mike Smith, but with the offense that the Blackhawks possess the Yotes could be in for some serious trouble. The season series between the two teams is 3-1 in favor of the Yotes, but with the improved play of Crawford and Emery as of late the Chicago team will be more competitive. The Blue Jackets had a miserable season as they finished last in the NHL with a horrid 29-46-7 record. Columbus finished the season with only 65 points. The Blue Jackets were a mess from the get-go of the season and the problems only continued to get worse as the season went along. Rick Nash trade talks heated up about a month before deadline, but even though he did not get moved the whole situation become a mess. Blue Jackets GM; Scott Howson leaked that Nash asked for a trade making both himself and Nash look bad as the situation was worse than many thought. Rick Nash most likely played his last game in a Blue Jacket jersey this season. It is believed that he will be moved around draft day which makes the draft pick situation very interesting as teams such as Montreal and Toronto were very interested in Rick Nash at the deadline and they both have lottery picks. The Blue Jackets shipped out veterans: Antoine Vermette and Sammy Pahlsson at the deadline for draft picks and future talent. Columbus also traded the bust of a signing; Jeff Carter for Jack Johnson and a 1st rounder at the deadline. Jack Johnson will be a key to success in the future. Blue Jackets goalie; Steve Mason had another horrendous season but this one was injury prone as well. Steve Mason only started in 46 games this year. He posted a 16-26-3 record with a 3.39 GAA, .894 save percentage and only one shutout. Backup goalie Curtis Sanford had a much better season with a 10-18-4 record with a 2.60 GAA, .911 save percentage and one shutout. The were not many bright spots during the Blue Jackets season but again Rick Nash had a successful offensive output with 30 goals along with 29 assists. Vinny Prospal also had a good offensive year with 55 points for the Blue Jackets. The lone bright spot about this season is that the Blue Jackets are sitting pretty for the draft lottery as they will most likely have first overall pick and will be able to draft the exceptional Russian forward from the Sarnia String; Nail Yakupov. The Blue Jackets definitely failed for Nail. – Johan Franzen – The Mule always plays exceptional in playoffs, can he do it again this year? – Hal Gill – He has been key to success of the Pittsburgh Penguins and the Montreal Canadians in their playoff runs, will he be able to do the same in Nashville?